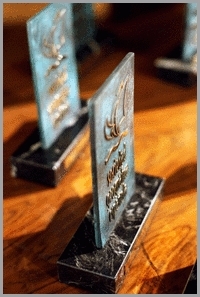 For the past thirteen years the SGE has awarded different prizes (National, International, Enterprise, Trip of the Year, Image, Communication, Investigation and Honorary Member) to several distinguished representatives of these fields, in a solemn ceremony which is attended by members of the SGE and by outstanding representatives of the cultural and social world and the media. A list of the personalities and institutions who have received our Awards in the past is shown below. 2000 Spanish Army Cartography Dept.